Home of the San Antonio Spurs, the AT&T Center is one of newest and most modern arenas in the NBA today. The history of the Spurs dates back to 1973 when the team was part of the ABA and played at the HemisFair Arena. For two decades the Spurs at this 16,000 seat arena that was known as the loudest arena in the NBA. In 1993 the Spurs moved to the newly constructed Alamodome. This dome stadium, built primarily built in hopes that the city would get a NFL franchise was an upgrade from the HemisFair Arena for the Spurs. At the Alamdome the Spurs attracted some of the biggest crowds in the NBA as the seating for basketball games could be expanded up to 39,500. Because the Alamodome was so large and the sightlines were not the best, the Spurs began to pursue a new arena in the mid to late 1990s. In 1999 voters approved an increase in car rental and hotel taxes to finance the construction of a new arena. The Spurs contributed $28.5 million and 50% of the funding came from private contributors. Constructed on the east side of the city, the arena was originally known as the SBC Center after SBC Communications bought the naming rights for $41 million over 20 years. In 2006 the building was renamed the AT&T Center after AT&T acquired SBC Communications. 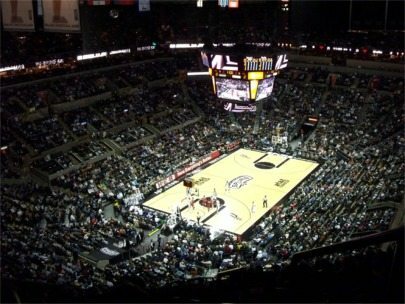 The Spurs played their first game at the AT&T Center on October 18, 2002. From the exterior the arena has a south Texas vernacular look. Once fans are inside the arena they can check out the Spurs history and memorabilia, art and paintings that are located in the concourses. Because the court is below street level, fans with tickets to games in the lower level do not have to walk up to get to their seats. 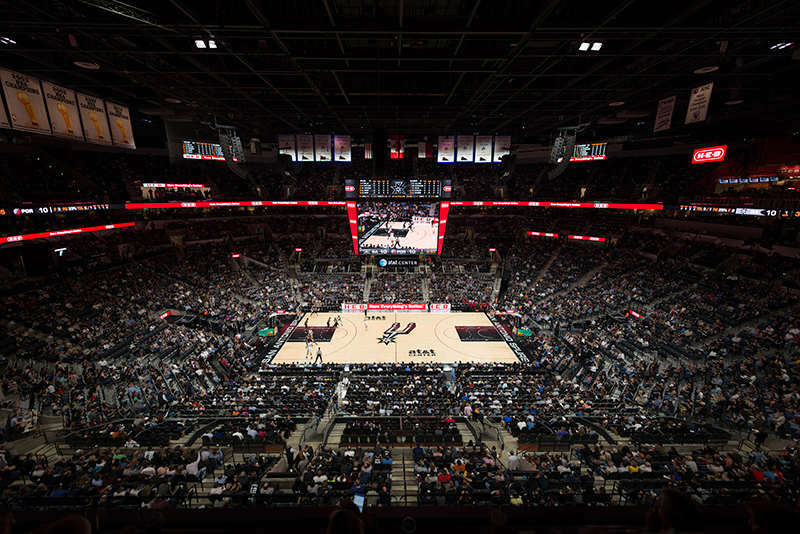 The AT&T Center has a seating capacity of 18,500 on three levels that include 50 luxury suites. A Spurs Fan Shop, Headlines a restaurant can be found at the AT&T Center. Since moving to the AT&T Center, the Spurs have had the best record in the NBA, winning 82% of their games and have won three NBA Championships. Fans of the Spurs are some of the best in the NBA and have many more winning seasons to look forward to in San Antonio. Did you enjoy this arena? Get three free bets with this latest promo code for Ladbrokes here.